There is no contest that tortilla chips and dip go hand in hand when it comes to munching on snacks. Chips and dip are perfect for parties, social gatherings or even that family movie night. Different flavours, different ways to dip - whats not to love. NEW Pringles Tortillas are changing snacking rules everywhere by sparking some serious debate among Canadians - a DIPbate if you will. Pringles Tortillas are so packed with flavour - some Canadians think dip is just not necessary while others won't let go of their favourite snacking tradition. We were sent over some samples of the new Pringles Tortillas. They come in three flavours - Nacho Cheese, Zesty Ranch and Original. These chips are similar to what Pringles always has to offer in its chip products but instead of normal potato chips they are flavoured tortilla chips. The same kind you get when you make a plate of tortilla chips and dip - minus the dip. 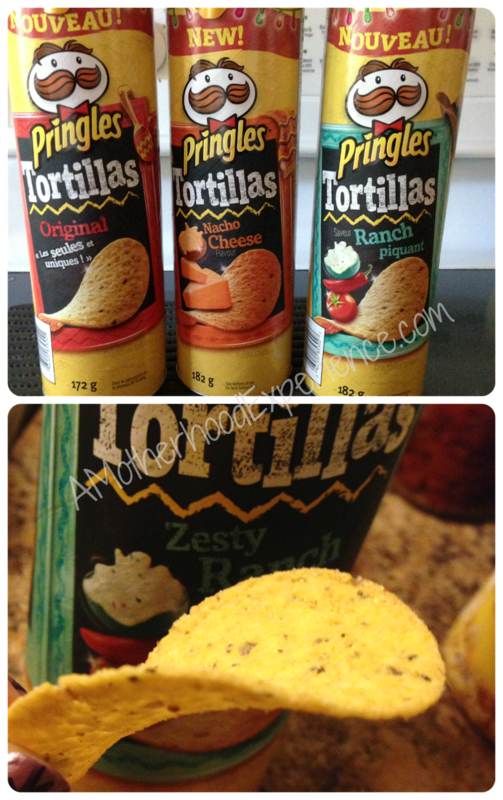 Hubby and the kids enjoyed the Zesty Ranch as their favourite out of the three while and I enjoyed the Nacho Cheese and Original as my favourite flavours. In all, new Pringles Tortilla Chips are really good! In my opinion, dip is optional. I could eat these with dip or without so I guess you can say I am kind of on the fence in this whole #PringlesDIPbate! Have you tried new Pringles Tortilla Chips? What say you about this whole thing, would they go great with your favourite dip or could they do without? From September 1st to 14th, TV host Matt Philips (@mattphilipstv) and his friends are taking it to the streets of Toronto to find out who dips and who doesn't in this great DIPbate! They'll be visiting hot spots, public spaces and happenings from Steeles Avenue to Lake Ontario to give people the chance to weigh in! If you see Matt, don't be shy! Say hello and let him know where you stand in the #PringlesDIPbate! Follow along hashtags #PringlesDIPbate #PringlesDip and #PringlesDontDip for all the DIPbate fun! In celebration of the new Pringles Tortilla Chips and the whole #PringlesDIPbate, Pringles wants to give one lucky AME winner the chance to try these new chips for themselves! 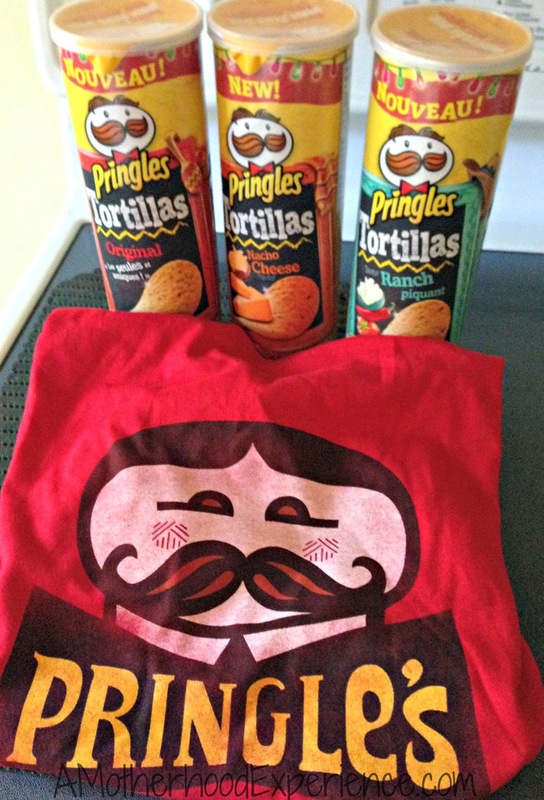 Enter using the entry ballot below for your chance to win all three new Pringles Tortilla Chips flavours and a vintage Pringles collector T-shirt ($30 value)! Open to Canadian residents 18+ only with a valid email address upon entering. Mandatory entry must be complete for extras to count. One entry per household/email address. Winner must fill out prize claim form and answer a skill testing question to qualify. Click here for full giveaway terms and conditions. Posted on behalf of Kellogg's Canada. Samples provided for participation. Prize sponsored by Kellogg's. Opinions and comments on this blog are those of the author. Im on the dont dip team , they are good the way they are !! Question - for the twitter it says to follow Primgles and not the actual Pringles twitter how come? That was a typo my friend, thank you for pointing it out! Sometimes these finges type a little too quick! All fixed! :) Good luck! Team #pringlesdip but that might change once I try them. Team #pringlesdip! In guacamole, yum!! I'm on team #PringlesDontDip although I do like dipping plain taco chips in salsa! I am on team #PringlesDontDip! I'd have to say with the new Pringles Tortillas flavoured ones would make me a #PringlesDontDip member! I love my dip but in this instance I'm joining the #PringlesDontDip team! Team #PringlesDip...in salsa or guac! I am team #pringlesdontdip ! team #PringlesDIP is my team for sure! I am definitely team #PringlesDip .... sooo yummy!